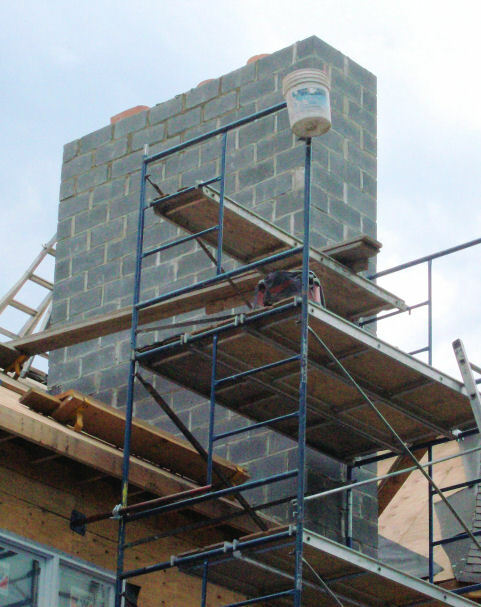 When your chimney is beyond basic repairs you will most likely require chimney replacement. For over 20 years our experienced chimney technicians have been professionally replacing chimneys in Brooklyn, Queens, New York City, Westchester, Long Island, and Bronx. In addition to chimney replacements we also repair or replace damaged bricks, chimney flues, liners, flashings, caps, crowns, and fireplaces. Call Chimney Repair NY today at 1-877-952-7425 to schedule an appointment or request a Free Chimney Replacement Estimate. Chimneys are exposed year round to natural factors like storms, freeze and thaw cycles, and heat exposure. After years of enduring these extreme weather conditions, chimneys will naturally deteriorate and cracks eventually form in the cement, bricks, and mortar. There are different levels of chimney replacement service available depending on the extent of the damage and deterioration. Call us today at 1-877-952-7425 and our experienced chimney technicians can determine if you need to replace the chimney flue, chimney liner, chimney flashing, chimney cap, chimney crown, damaged bricks or if a complete chimney replacement is necessary. Our services are designed to accommodate a wide range of clients from residential homes to large commercial buildings and we are committed to providing clients with the highest level of quality service. Request your Free Chimney Replacement Quote today to get started.